The majority of the route is along asphalted cycle paths making this a very accessible cycle trip, even for those less experienced to multiple days riding. Combine this with your chance to say you’ve ticked off not one but three countries and you’ll feel a fantastic sense of achievement once complete! En route you’ll have tons to see and do, but one particular highlight is the UNESCO appointed Reichenau island, which was of great artistic significance during the 10th and 11th Centuries. You can still see the impressive frescos, which decorate the walls of the island’s churches. Discover this amazing lake for yourself and join our supported cycling holiday. 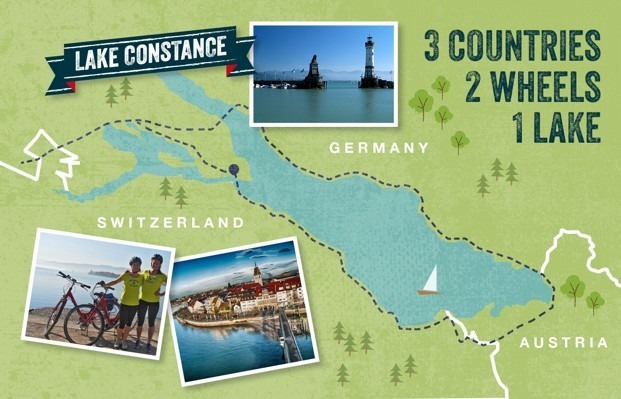 Click here for more information about our Lake Constance tour.